This is my 'Whirlwind' last week. I've had it for a decade or more - one of my earliest hostas, but I had it so close to my Linden tree that it was in too much shade and not enough water. Until last year when I took 3 small divisions from it, I had only take one other division from it in all those years. I moved it at the end of last summer into a space with better light and moisture and I believe I am already seeing better growth. I also kept one of divisions and will try growing it in a totally different location. My Whirlwinds have gone dark. One is showing some streaking. Mines hanging in there green wise. Not much sun on this guy. redcrx - I'm sorry to report this but your Whirlwind looks to have major signs of foliar nematodes. Maybe ask Chris to be sure but that brown streak between the veins is telltale evidence. I've taken more pics of mine - these both from July 29 and it's very interesting how different light conditions affect how green it goes. My larger plant gets only a small amount of morning sun and still shows quite a bit of white. The smaller one is a division from the larger one taken last autumn and it gets full morning sun and is a lot more green. I have it in a pot because I still have shrub roots to get dug out where I thought I wanted to put it, but it's so gree I may rethink that. Had to look back and see if you had posts on 'Whirlwind.' Here is mine today with pods. I hadn't gotten to "W" yet in my updates, but since this thread has been bumped up recently, here are my pics. both of my 'Whirlwind' divisions continue to do well, but in this very hot, dry summer, with the early spring, they have both greened up more than usual and earlier than usual. Mine was ugly this year. It got hit with frost a few times...then the hot, dry spell. I don't divide often, but this one needs it. This was taken earlier in the spring, so it hadn't had enough time to stress itself out in all the sun yet. Normally it does really well in the sun, but there was just too much this year, and not enough rain. 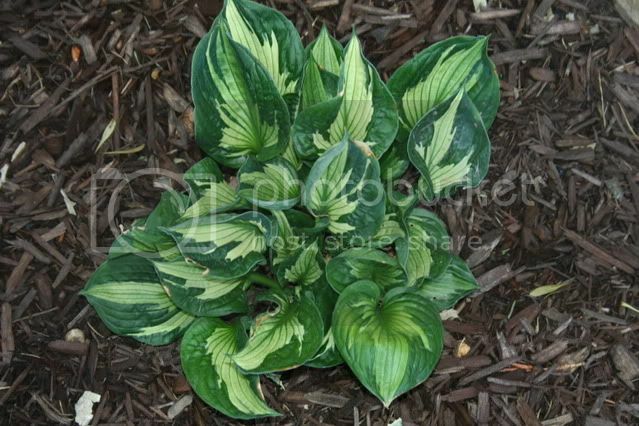 rockNhostas - how long have you had your plant? 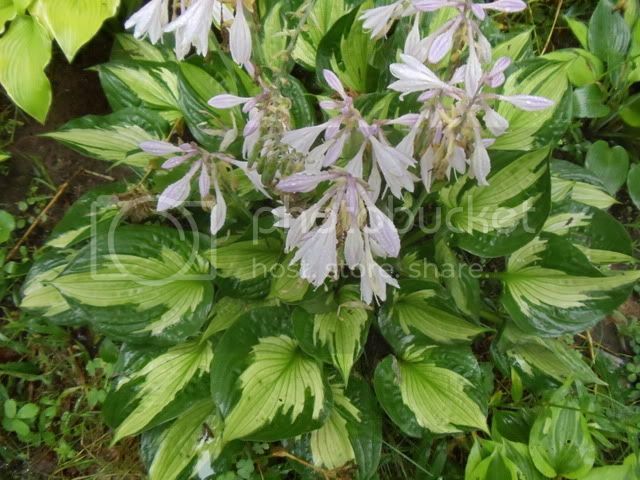 Mine is one of my early hostas and I have had it over a decade - has grown very slowly - one of the reasons why I divided it so I could try a division in a new location. Last edited by ViolaAnn on Sep 08, 2012 8:40 am, edited 1 time in total. It's at least ten years old. I may have divided it once and it has been moved from one place to another. My previous place was heavily wooded with deciduous trees and had soil that was really rich with natural compost/leaf mulch. It has always been in a spot where it gets more sun. I don't fertilize much, but when I do I use 30-30-30 fertilizer at the recommendation of a nearby hosta grower. I really like Whirlwind, even when it goes solid green in the summer. As you can see, mine is still fairly white in September! I must have an impostor! I believe that the light has a bearing on how much they green up though. Mine is OLD - definitely not one of those new tissue culture types, but when I had it in more shade it never got as green as it does in more sun. 2014 - updates. Both pictures taken July 16, 2014. The original plant which gets less light. And the one that was divided from it and is about the same size. 2015 July 25. My two divisions of 'Whirlwind' looked very different this year. The first one now gets more afternoon light due to the loss of trees to the west, although it is still NE of my Linden tree. But for whatever reason, it never showed the very prominent veins that are so typical of this variety. The first picture is that division. The second is the one I divided from it and put east of my house a few years back. Both pictures taken the same day.